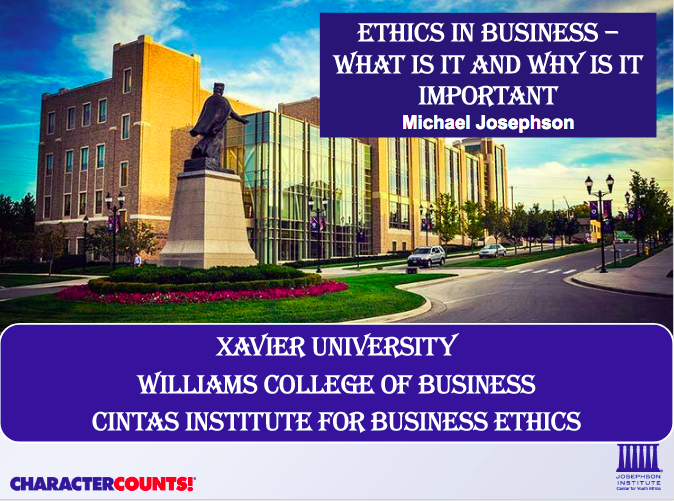 I prepared a condensed summary of business ethics issues and strategies to a class at Xavier University. If you’re interested, you can find the slides here. 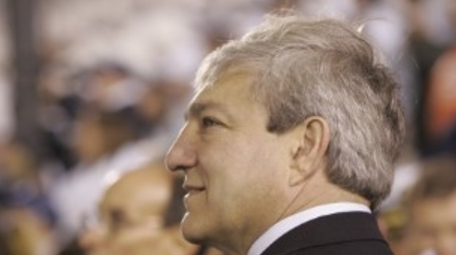 COMMENTARY 760.2: Can Corporate Ethics Programs Do Any Good? QUOTE: You can dodge your responsibilities, but you can’t dodge the consequences of dodging your responsibilities. Whether it’s in our personal lives or work lives, there are always things we need to do, and we always have to do them ethically. We fail to do so at our peril — to our relationships, our reputations, and the esteem of those we care about. 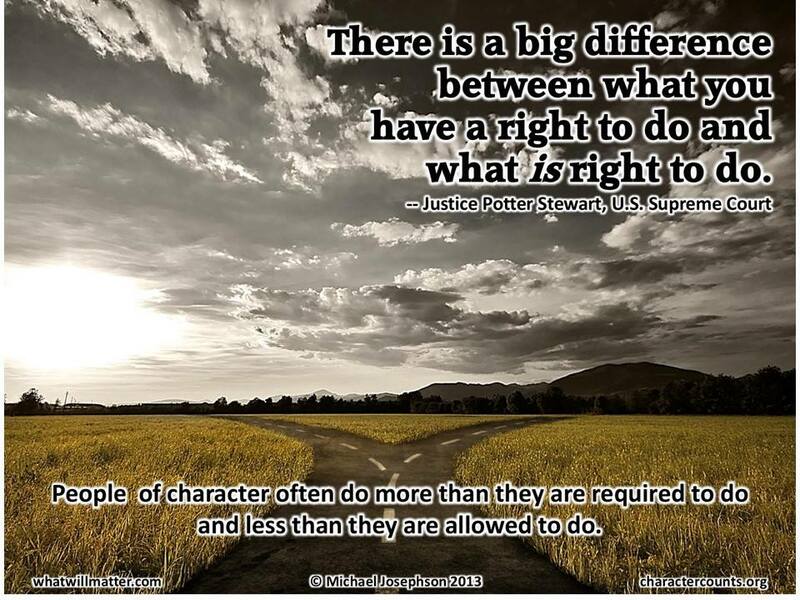 QUOTE: If good ethics always was good business, only stupid people would be unethical. The ugly truth is that sometimes ethical people lose and unethical people win. That’s why success is not a reliable measure of virtue. OBSERVATION: The Ethics of Numbers — Hitting the numbers without meeting the goals. QUIZ: What should you do when your best salesperson is a jerk? QUIZ: What would you do? Do you give an honest reference? QUIZ: What would you do? Handling an upset customer. 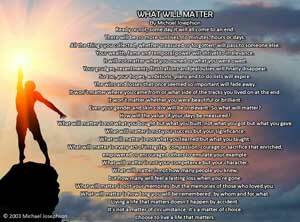 WORTH READING: Get Smarter! Start the New Year With the Five Best Books I Read in 2011. What books are on your list? 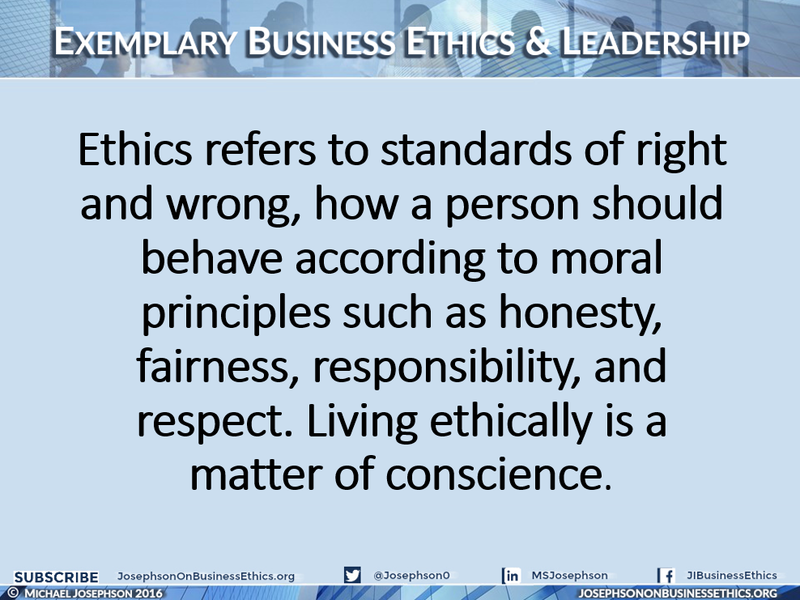 OBSERVATION: There is no such thing as business ethics; there’s just ethics.